I thought I would make a little directional change with my blog here. I am still pretty much interested in Second Life but I noticed that I can´t be into this subject for twelve months a year, if you know what I mean. This means that the blog here is somewhat dead in case I am not active in Second Life for a while. But there are so many other subjects I would like to write about. Mostly technology subjects but also some other stories from life. I am not sure if I will be a super active blogger or so but I mean just in case I would like to write down some things. It might happen that it is not only Second Life related. but if I am active in Second Life, then you might also find Second Life related stories here. I just wanted to say this. Don’t listen to your residents. Shuffle their requests along through “normal channels” until they either just sigh and deal with it, or pack and move somewhere else leaving you wondering why. Bait, and Switch. Sure, it was ocean-front when we showed it to you. But back then, you were a prospect. Now you’re a customer. And we’re filling in that ocean. Show special preference to people for no apparent reason. That guy gets free tier? Why? Because SCREW YOU that’s why. Don’t reward the enthusiastic and helpful. In fact, tell them off before they threaten your power structure. Or else just let them do all the work and take them for granted. A “thank you” is just so empty and meaningless and such a bother. Just don’t do anything. Events, get-togethers… they’re just so costly and such a hassle. Surely someone else can plan them. And will. Eventually. I did not login often to Second Life last months. It was a busy time in real life and I anyway didn´t feel much inspiration. I use Second Life most of the time to create things. But if there is no inspiration, then I see in fact no reason to login to Second Life. For me it is really just all about creating content. Only listening music in Second Life is still one of my interests apart from content creation. But music is not something which could make me login everyday or regularly. But last days I logged in several times due to customer support. After the customer support I stayed logged in for some time and thought it is still fun. Well, who said anything else? Second Life is always fun if you find time in real life. I think I could imagine to login more often again. I thought about renting land again. With land I always had ideas to create things,… it is already fun to create the own home, store or what ever. This would mean less boredom. So actually I am looking for land. I bet I will again rent on Lionheart SL since I get a lot of bonus there due to my long time membership. But if I get a better offer, then I will check it out. I already plan to create some new cool things. Also I thought I should give an in world store a new try. But this is something I am not sure about yet. But if you ask me, I miss the time when I logged it most of the day to manage my stuff in Second Life. While it is more handy today to create and manage things in Second Life, I really miss the time when everything had to be managed in world. But let´s see. It might be that you hear more of me again in the future if I find some tasks for me, to have a reason to login more often. I think I will start soon to find some land for me. Well, if real life gives me the time. But this week is already pretty stress-free. Created a little but open Corner Store (20×20 meters) in Second Life, I decided that this architecture needs some green to give it some style. I started to create a plant tub I wanted in each corner of the store. While making these I though that is fun and started to create several and differend plant tubs in my little sandbox in the sky. Since Direct Delivery is arrived in Second Life, I noticed that the SL Marketplace was very very slow. Other People did notice the same. I had the feeling that SL Marketplace was always somewhat slow but Direct Delivery did make it unusable for many People. Today in the morning I logged in and now it everything seems to be very fast. Looks like the Rush of People who wanted to log in for the DD changes is away now or Linden Labs did change anything. What ever it is.. I just hope it stays like now. It´s pretty fast to load the Page now. Finished my Marketplace Direct Delivery work..
Second Life Marketplace Direct Delivery has arrived and I finished to change all my Products to the new System. Marketplace Direct Delivery has arrived! Today I did read a Blogpost on Phoenix Viewer Blog. Looks like there will maybe be a new Phoenix Viewer Release someday. The Phoenix Team wrote it’s sounding lately like LL is starting to take a less aggressive stance towards V1 than what we were initially told nearly a year ago. They say LL has no immediate plans now to break v1 by turning off server side functionality. But they also note that this is rather an impression and not an official statement from Linden Lab. There is also not an Date set so its not clear when a next Phoenix Viewer Release will come but hopefully within the next few month. They will probably address some of the performance, stability and mesh related issues the Phoenix users are experiencing on the 1600 release. Read the latest Phoenix Viewer Blogpost here. Give me some Second Life Cheats! I wanna go shopping! As I did mess around with a Keyword Research Tool called Market Samurai when I was bored, I had to laugh when I created a Second Life Keyword Analysis and found out that there are 145 daily Search Engine requests on the Keyword “second life cheats” in the Internet. Lets assume 145 Second Life Users per Day want to cheat in Second Life. I mean this is funny. So funny that I though I now need to blog about the greatest Cheat you can get in Second Life. 1. Log in to Second Life. 2. Find the Text “Linden Exchange” in the Menu on the left Side of the Second Life Website. 4. The next Side is self-explanatory. Just type in how much L$ you need and place your Order. Sorry I couldn´t refrain from laughing. I though the Fact, that there are 145 People a Day who ask Google for Second Life Cheats, is pretty much funny and a Blogpost with a little spoof worth. I think I also do not spend a lot of time on the Second Life road… but there was a Time I did. Reading a Blogpost of Alicia, I decided to think about if I am a Couch Potatoe in my Second Life. Or should I rather call it Parcel Potatoe, Firefox Potatoe or Windows and Apllication Potatoe? Alicia thinks that she should once again go somewhere in SL. Looks like she makes a Comparison and found out that there was more Activity back in her Second Life Days. She noticed that´s not only her. Most of here friends just stand on ther Platforms as well. So talking about my Second Life related Activity, I must say this is my own experience I made in the past as well. I defenetly can agree cos if I login to Second Life, I hang out on my own Parcel (Sky- and Sandbox) most of the time too. And it´s true that I rather spend more time with Forums, SL Marketplace, Twitter, blogging and so on. Sure I call it my SL Activity as all this is mostly related to SL. But the good Point Alicia makes is that it isn´t Inworld Activity. And when she said that she noticed the same with her Friends, I just can sign it cos I notice similar behavior of my Friends. So in my Case I can explaine it so… back in the Days, Second Life was so new to me that really everything was magical and interesting. I was just amazed about each Place I visited. I became somehwat addicted and soon when I met a Person who introduced me to her Estate, Club and Community, then I became all the more inlove with Second Life. I believe back in these Days I did not minimize the Viewer very often. I remember everything was pretty interesting so that the rest of the Internet just became a minor matter. The Place where I mostly did hang out was an Estate with a Club and I know I got my first free Inworld Shop there as we became very good Friends soon. At this Time I did rather have a small Collection of Products and they all were everything but not Complex or something someone would need. 😀 Just my beginner Stuff. And also at this Time I did not spend much Time to produce new Stuff. So apart from hang out my own Products there I worked at her Club as well and I remember back that I got a very good Amount of L$. At least compared to what most of the Dancer´s and Host´s get today in SL. It was 1000 – 2000 L$ (really no Joke!) per Hours for working in her Club and much more then my little Shop income. Sure this was a Reason to stay inworld and it would be a Lie if I would say no. But everyday when the Club were closed we did still hang out together too. So I wasn´t hunting L$ only.. I just enjoyed the Time with my new Friends. We had always cool Topics when we did chat and we had defenetly a lot of fun. So I can say it was rather the Friendship which did bring me online. After some Month I had the feeling it was not just the Team of the Club but rather something like a Family and Federation. The bad End of the Story is that she one Day closed her Estate forever. I believe I would still hang out with her much but she did stop to login regulary and later she wrote me that she wont come online often in the Future as ReaLife keeps her on the Run. I can say I miss her much as it was my most active (inworld) Time in SL. Exploring, chatting, dancing, listening Music, shopping and I cant count it all. Sure is I did see a lot of Places in those Days. So when my Friend did stop loggin in, I had some more Time to learn more about Conten Creation within Second Life. Soon I became a regular on these bigger Sandbox´s and did experiment a lot with Prims and LSL scripting. As I was still a beginner when we talk about creating Content and from now on very fascinated with all that but a very slow creating one, I would call this Time my second Level of inworld Activity. Even if I still was sad that a Friend leaved Second Life, I can tell you that I in fact now did spend more and more Time inworld. I rented my first own Land and started my Store and later a Mall which I did rent out for Tenants. Managing all this alone did result in much more Activity but not only on my Land. Making connections with other Landowner, renting AdBoards here and there affected me to see more and more Places inworld. But some day creating things out of Prims became routine anyhow. I just learned to create things I have in mind and now didn´t need to think about it much. I just started to create thing´s I had in mind and this Process became faster then before. With much more finished Products then back in the Days I noticed that Xstreet got a bigger Economy-impact then my Mall. The difference of Sales was so huge that I just started to think about closing my Mall and rent a much smaller Place to just have my Magic Boxes rezzed anywhere and a Skybox for new little Projects. So what about today? They just merged Xstreet to SL Marketplace and the old good impact of Xstreets Sales were just the beginning. My sales on SL Marketplace even increased compared to the closed Xstreet. 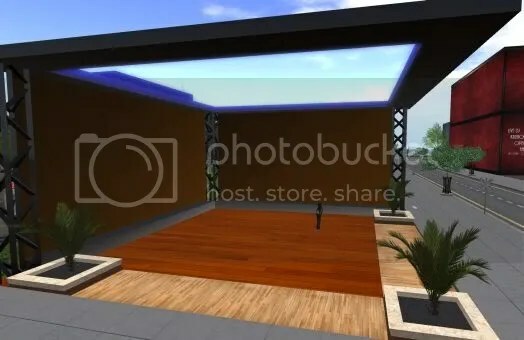 And after reading other Blogs I now know and bet that a very heavy Amount of Sales go rather through SL Marketplace instead of Inworld Stores. Not enough… new Features like Mesh Import makes Content Creators stay outside of SL to create Content. I do so now too. Today? I believe I can get these fascinating Essentials of Second Life without logging in much. And there is for me the Problem. It became creating Content outside of SL, managing these Matters outside of SL, advertise it outside of SL. When things are done, then they get just adjusted inworld and then dropped in a Magic Box. Oh and soon we dont even have to rent Land for a Magic Box as we soon can sell Thing´s out of our Inventory. I believe all this has a huge negative Impact on the Virtual Estate Business too. For socializing it´s pretty much the same.. Social Networks, Forums, blogging… I believe I spend more Time outside of SL today. You get these Second Life related News and hot Topics outworld.. and you can discuss it with People even if you are not online on the Grid. Do I like it? No I think Alicia is right. We should explore more often again Inworld. What I did now was losing the Fascination of SL, I had early Days in SL . The Question is if we are the Reason for that.. if we are lazy? If we lost Ideas where to go? 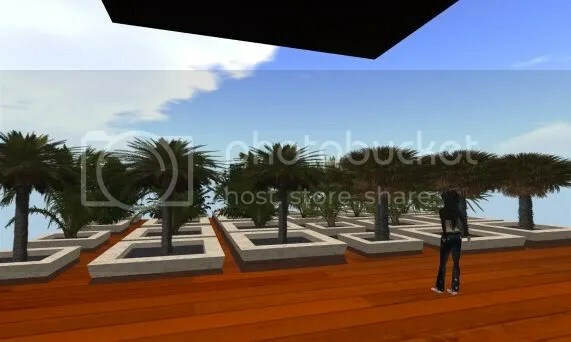 If we lost Friends inworld? Or is this all due to some changes LL made? Really I like new Features like Mesh Import and the upcoming Features. So.. well.. I am not sure. I just know that Content Creation became a very importend Part of my Second Life and so I can just judge it from this Perspective. Linden Lab gave us Tools like SL Marketplace and the Mesh Feature to just handle everything we want but not inworld. So there seems to be just a minimalized Reason for Content Creators to stay online on the Grid. If I could handle all this only Inworld and there was a Time… then I would probably rather be anywhere around on the Grid. I dont want to say that I dislike the changes of Linden Lab. Great Features arrived and will arrive soon. It´s just for me clear that they have a huge impact. They change Second Life. Ok. Looks like for me socializing became simply suppressed by creating Content for SL. And now I dont do it often inworld. Even if I still have fun with what I do.. I agree.. it´s anyhow sad because there is maybe so much more I could do inworld. I sometimes just dont know what and why if I can do it without being around on the Grid. However I think Alica found a Topic which might be for some of us pretty up to date. At least for me. I am sure we all have differend Reasons to be Parcel Potatoe´s or People who just login to put some Thing´s up for Sale. Maybe some of us are still often inworld. But I believe fact is that there are a lot of People who aren´t and if then they simply hang out on ther Parcel and have no other Ideas. Maybe I should start again to explore what SL can offer me apart from what I do now. Or maybe all this is just a subjective Feeling as we did spend already so much Time inworld in the past.. maybe it just feels differend then before. The latter would be what I experiences in other Virtual Worlds like World of Warcraft and so as well.